Promotions for CD rates are certainly a good deal, as saving up for a rainy day can give you sunnier days ahead. Texas Security Bank has been one of the few financial companies that continue to offer competitive rates. But now, it seems that this Dallas giant has its game face on. We’re talking about its special 16-month CD rate promotion. Think about it. The National CD rate average for a 1-year term is 0.77%. But with Texas Security Bank, an additional 4 months in your CD deposit can get you a relatively high yield of 1.60%. This is certainly a thing of joy for anyone who wants to grow money in just a short amount of time. If you’re planning to head to the nearest branch to make that deposit, you better do it now. This offer is good only until March 31st. This special rate is applicable to new accounts with a minimum investment of $1,000, and only up to $2,500 maximum deposit. All accounts require a minimum deposit of not less than $1,000. This is also the amount that must be maintained in the account daily. Except for the 28-day and 3-month maturity, all account will bear interest on a quarterly basis. The aforementioned two short-term accounts will get the added interest upon its maturity. All the interest incurred. As for a 6-month terms, fee is equivalent to 30 days of interest. A 12-month term will incur 90 days worth of interest, while those terms of more than 12 months get the early withdrawal penalty of 180 days interest. 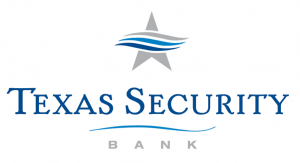 Texas Security Bank branches are located only in Dallas and Garland. As such, local bank’s great CD rate offer will benefit only a few, so if you’re qualified, grab the opportunity while you can.